Big Red Car here. Big today, garage getting cleaned to the bone. To the max. Going back to parking cars in the garage. Hoping for a spot for the Big Red Car but have a sneaking feeling it’s going to be that damn Lexus. We shall see. Did mention the weather is fine, y’all? Just fine as ever. On Earth as it is in Texas! An hour later, the brilliant, young CEO returns happy, happy, happy. It worked and the writer’s block was banished. Don’t let writer’s block prevent you from getting your mission statement word smithed. Remember mission statements are part of the continuum of Vision, Mission, Strategy, Tactics, Objectives, Values and Culture. It is easy to do, if you will just do it. Then you can go to the beach. 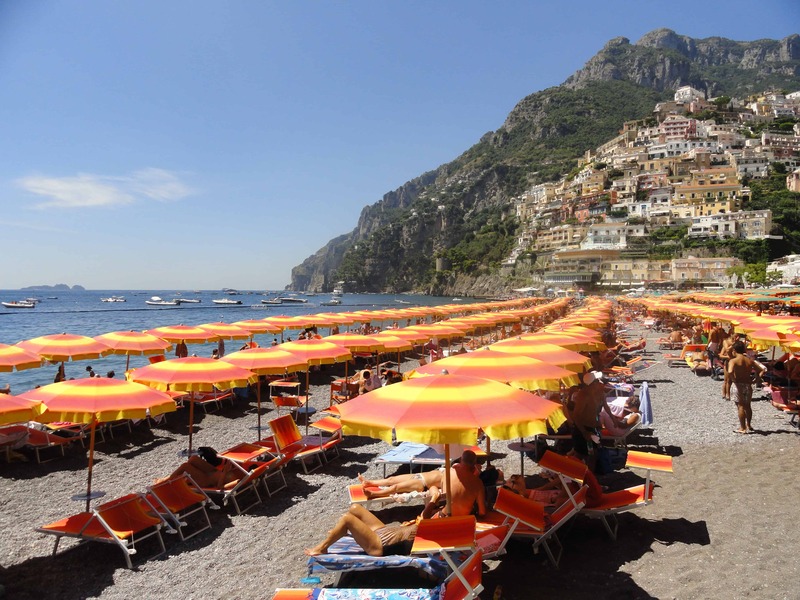 This beach is in Positano, so it may take you a bit of time to get there. So what? You deserve it. Need some help, call The Boss at 512-656-1383 or email the old boy at jminch2011@gmail.com. He’ll be there for you. Promise. But, hey, what the Hell do I really know anyway? I’m just a Big Red Car. No writer’s block for y’all! Be good to yourself. Be damn good, you deserve it. This entry was posted in Advice and tagged mission statement, writer's block. Bookmark the permalink.